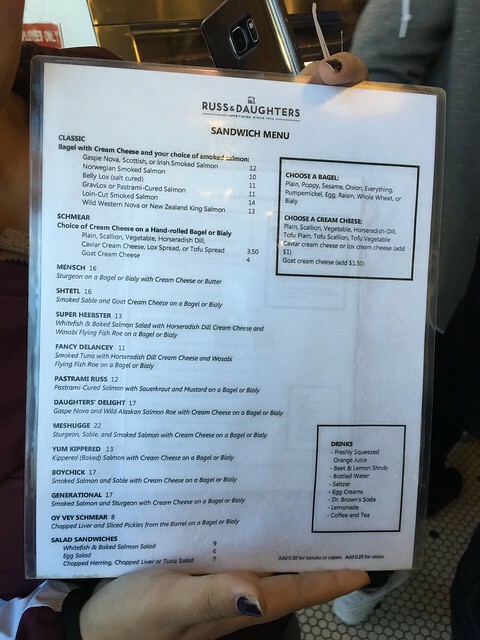 Time for more bagels! When in New York, right? 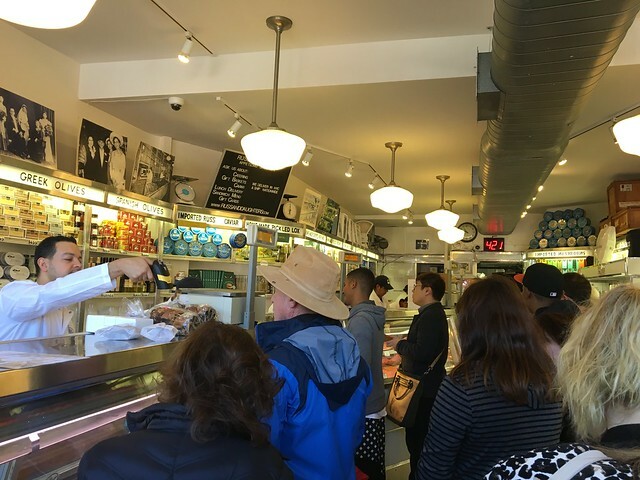 Russ & Daughters is a family-owned shop specializing in high-end smoked fish, caviar and other foods since 1914. 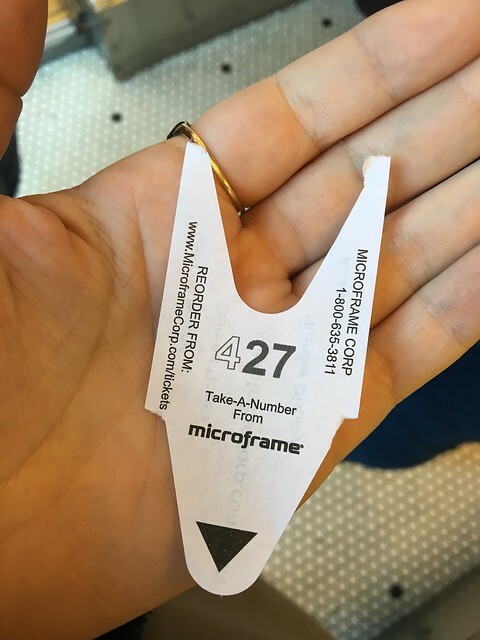 Grab a ticket, get in line and figure out what you're getting. 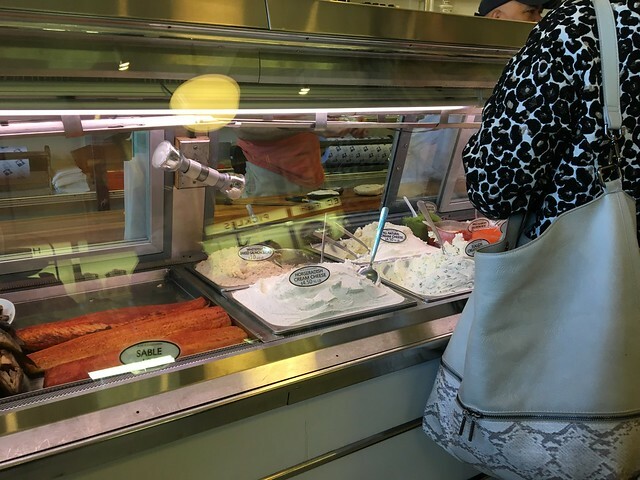 I keep wanting to try all these crazy things - like lox cream cheese - but I love the classic bagel and lox so much I have a hard time. 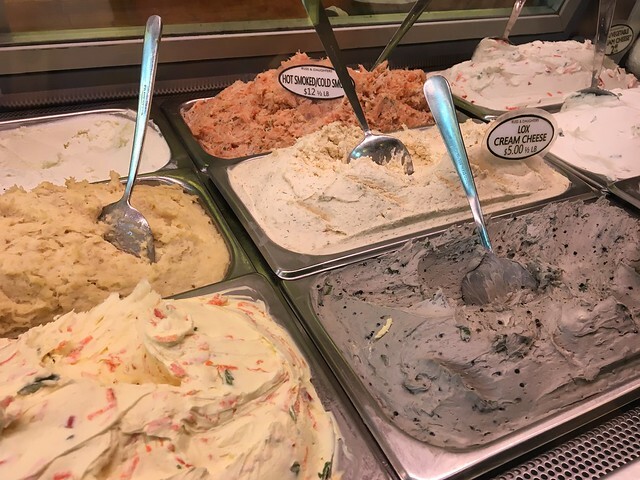 I once again went for a plain bagel, but this time I got scallion cream cheese, red onion, capers and belly lox. Belly lox is salt cured, which I didn't think much of. The guy making my sandwich asked me if I had had it before, and I said no. He warned me that it was salty. I said no problem, I'm sure it's fine. 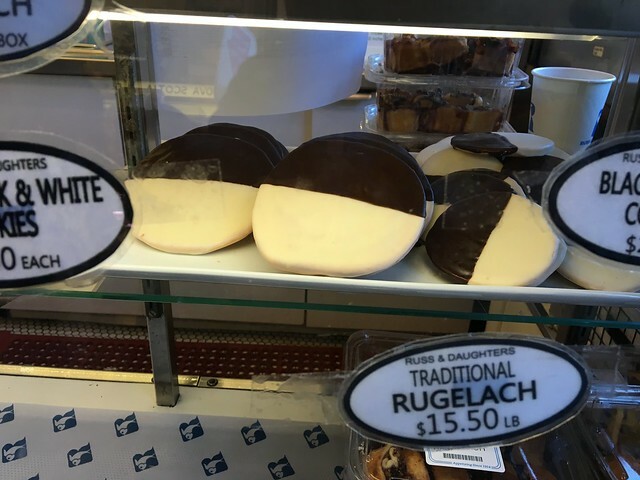 After I received my sandwich, I noticed the famed black and white cookies. So, I grabbed one of those, too, before we headed outside to find a bench. My first bite of my sandwich was good - I love scallion cream cheese. 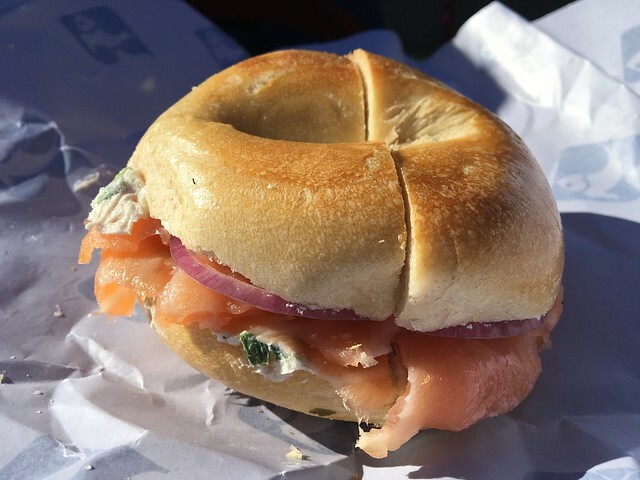 The bagel itself was good, too, and then once I got a mouthful of capers and the belly lox at the same time, and I puckered. It is SO salty. Like, REALLY salty. I don't have an aversion to salt, but this was super salty. I'm pretty sure I got like a salt burn on the side of my mouth after eating this. My fault. I should have gotten a salmon that wasn't quite as salty - but I just didn't really know what I was getting myself into. 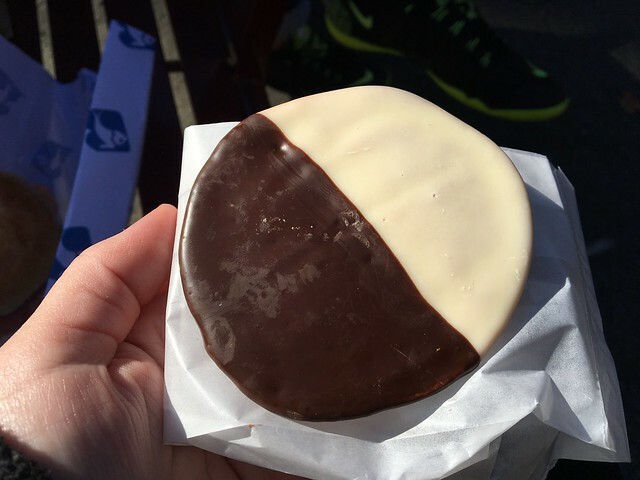 The cookie was good - crumbly, but tasty. And much welcomed after the salty sandwich.